Sign up for Broadjam today to follow David Banks, and be notified when they upload new stuff or update their news! David Banks is a composer, arranger and instrumentalist who will soon make his mark in the world of classical/orchestral and cinematic music. He is original, creative and unique. His merging of pop influences with classical orchestral influences are both interesting and attention grabbing. 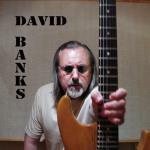 Thanks for supporting David Banks! Would you like to help David Banks get heard by industry pros by buying them a song submission credit to Broadjam Music Licensing Opportunities?